The 2015 Innovation in Education Award recipients will be announced at the 22nd Annual High-Tech Innovation Awards Dinner on Thursday, October 8th, 2015 at the Westin South Coast Plaza in Costa Mesa. 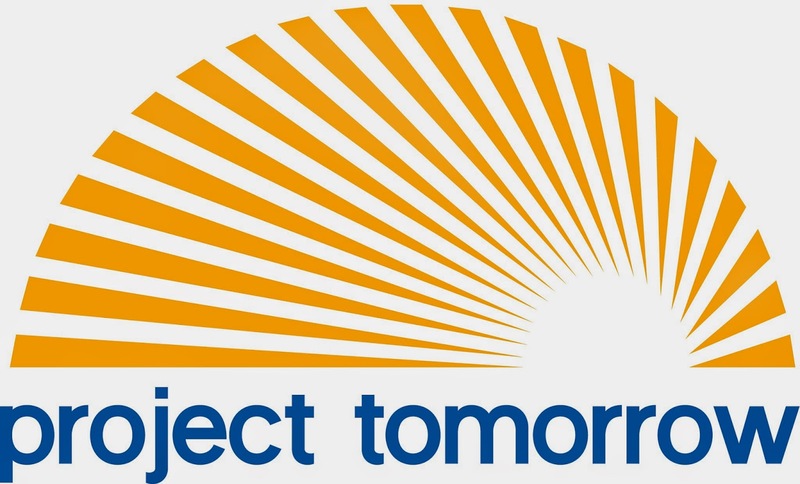 The annual education-focused segment is a partnership between Project Tomorrow and corporate sponsors, Emulex and Haworth. Nominations for the 2015 Project Tomorrow Innovation in Education Awards could be self-submitted or submitted by a district and/or school staff person. Organizations such as a PTA unit, parent advisory committee, or any youth based organization were also eligible to nominate. An independent review panel of local education and business leaders will select the award recipients. The annual Innovation in Education Awards are open to all public and private schools in Orange County. This entry was posted in Innovation in Education Awards and tagged Innovation in Education Awards, OC Tech Alliance, Press Release, Project Tomorrow on July 30, 2015 by Lisa Chu. MCLEAN, Virginia—Jan. 21, 2015—Kajeet®(www.kajeet.com/education), the only wireless service provider dedicated to kids and education, and Project Tomorrow®, a national education nonprofit, announce the results of a two-year-long study on the impact of mobile devices on teaching and learning. The Making Learning Mobile 2.0 study continues taking an in-depth look at the impact of 1-to-1 tablet implementation, including Internet access outside the classroom, with Chicago Public Schools students. The school-issued tablet increased at-home Internet access for this cohort of students by 53 percent. This is especially significant given the persistence of the digital divide in home Internet access within our communities. The teachers felt more comfortable and assigned more reading and writing homework because the students had home Internet access. This resulted in increased reading and writing fluency, which is especially important for English Language Learners. 60 percent of the students agreed their reading increased because of their personal access to the tablet and the Internet; 60 percent noted they did more writing this school year than in previous years and that the tablet helped them improve their writing skills. The project was sponsored by Kajeet with funding from Qualcomm Incorporated, through its Qualcomm® Wireless Reach™ initiative. Kajeet and Project Tomorrow will host a webinar on Wednesday, Feb. 18, at 4 pm EST to discuss the results, including how the tablets transformed teaching and learning for both students and teachers from one year to the next. The Making Learning Mobile study is continuing this school year within Chicago Public Schools. Register for the webinar at info.kajeet.com/webinar-mlmreport and download the complete report from both school districts info.kajeet.com/downloadmlmreport. Kajeet, the only wireless solution provider dedicated to kids and education, is bridging the digital divide in school districts across the country. Kajeet provides a safe, affordable, mobile broadband solution that connects disadvantaged students to the resources they need to complete required assignments and projects outside of school. The Kajeet SmartSpot solution, a portable Wi-Fi hotspot combined with the innovative Sentinel® cloud portal, enables administrators and teachers to provide CIPA-compliant, customizable filtered Internet access that keeps students focused on school work and provides off-campus Internet connectivity without worry of data abuse. The Kajeet service platform, which operates on both the Sprint and Verizon network, is protected by the following patents 8,774,755; 8,774,754; 8,755,768; 8,731,517; 8,725,109; 8,712,371; 8,706,079; 8,667,559; 8,644,796; 8,639,216; 8,634,803; 8,634,802; 8,634,801; 8,630,612; 8,611,885; 8,600,348; 8,594,619; 8,588,735; 8,285,249; 8,078,140; 7,945,238; 7,899,438; 7,881,697. Other patents are pending.For more information, please visit us at kajeet.com/education. This entry was posted in Uncategorised and tagged Kajeet, Making Learning Mobile, Press Release, Project Tomorrow on January 21, 2015 by Lisa Chu. Irvine, Calif. – For the 12th year, K-12 students, parents, teachers, administrators and community members across the country have the opportunity to share their views on the role of technology within learning as part of the annual Speak Up National Research Project. The national online Speak Up 2014 surveysare open to all students, parents, educators and community members until December 19th. More than 13,000 individuals have responded since the surveys opened last week. More than 10,000 schools and 3,000 districts are expected to register and promote the online surveys to their stakeholders again this year because of the value of the Speak Up data in informing their plans and policies for the school year. Schools and districts who register to participate receive survey data particular to their school(s) at no cost. Last year, more than 400,000 people shared their opinions. Always cognizant of the key issues facing schools and districts with technology usage, this year’s Speak Up annual surveys poll K-12 students, educators and parents about the use of mobile devices, online and blended learning classes, digital games and digital content within learning. The 2014 surveys include new questions about data privacy, students’ interest in learning coding, college and career readiness, teachers’ familiarity with digital badges, and the features desired by both students and parents in a school mobile app. As more students have their own smartphones, tablets and laptops, last year’s surveys showed a major shift in attitudes towards Bring Your Own Device (BYOD) policies. The surveys continue to explore that issue as well as schools’ bandwidth capacity to support the use of high quality digital content such as videos and animations within classroom instruction. And in recognition of the ongoing interest in improving teachers’ skills with technology, the Speak Up surveys collect important data for local schools about teachers’ wish lists for professional development and the training methodologies that are more effective. “Speak Up provides an easy way for students, parents, teachers, administrators and community members to tell school leaders and policymakers how they feel about some of the most important policies and programs that impact day-to-day school life,” said Julie Evans, CEO of Project Tomorrow. After more than a decade and 3.4 million participants, Speak Up continues to be the only annual, national survey to ask students, educators and parents how they use – and how they would like to use – technology for learning. Again this year, the online surveys ask students, parents and educators to envision their ultimate 21stcentury school and to identify the technology tools that would be essential to support increased student achievement and learning. Past Speak Up national reports are available at www.tomorrow.org/speakup/speakup_reports.html. The Speak Up National Research Project represents the largest collection of authentic, unfiltered input on education and technology from those ‘on the ground’ in the schools. The annual survey about education and technology is facilitated through public, private, parochial and charter schools all around the country. The parent survey is also available in Spanish. Project Tomorrow will share the national data findings from the survey in the spring with federal, state and local policymakers. Additionally, every school or district that participates in Speak Up receives a free online report with all of their locally collected data – and the national data findings to use for benchmark comparison. All participating education entities will gain access to their own stakeholder data in February 2015. Since 2003, more than 3.4 million K-12 students, educators and parents from more than 30,000 schools in all 50 states have participated in Speak Up. The online survey is facilitated by Project Tomorrow and supported by many of our nation’s most innovative companies, foundations and nonprofit organizations including Blackboard, Inc., BrainPOP, DreamBox Learning, Fuel Education, Qualcomm Wireless Reach, Rosetta Stone, and Schoolwires. This entry was posted in Speak Up and tagged edtech, K-12, Press Release, speak up 2014 on October 15, 2014 by project_tomorrow.